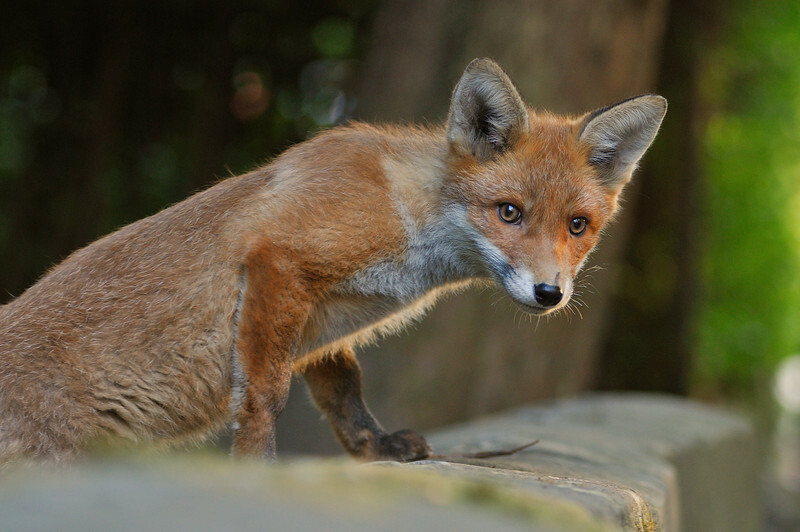 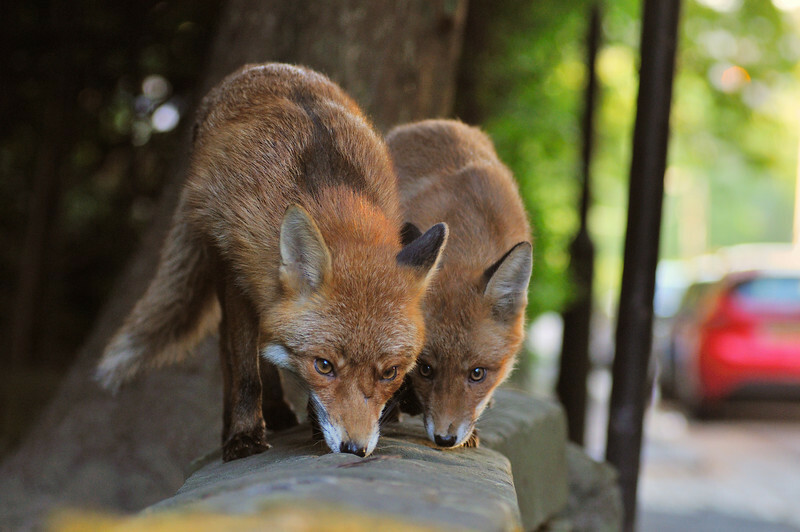 Red Fox and cub in the west end of Glasgow. 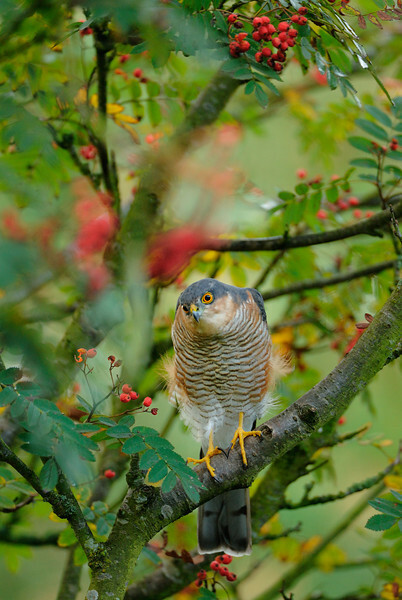 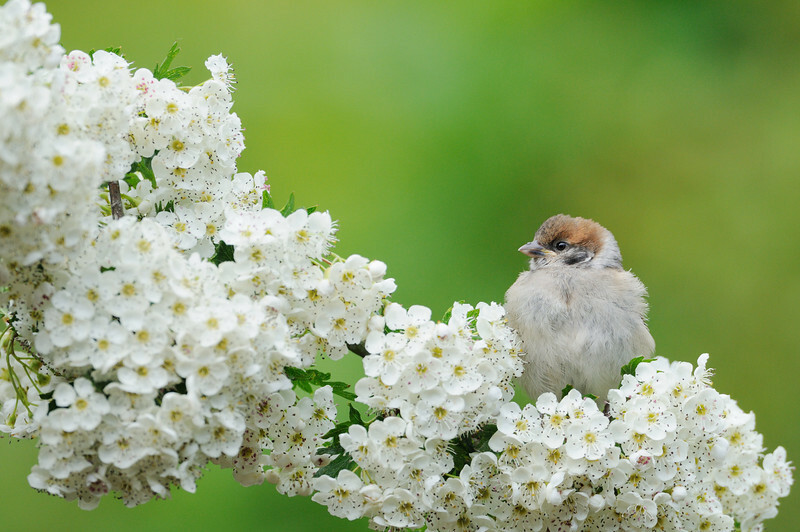 Fledgling Tree Sparrow amongst hawthorn blossom. 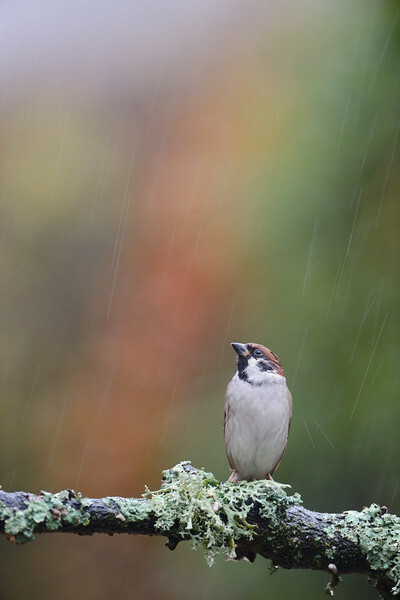 Tree Sparrow perching on a lichen covered branch in the rain. 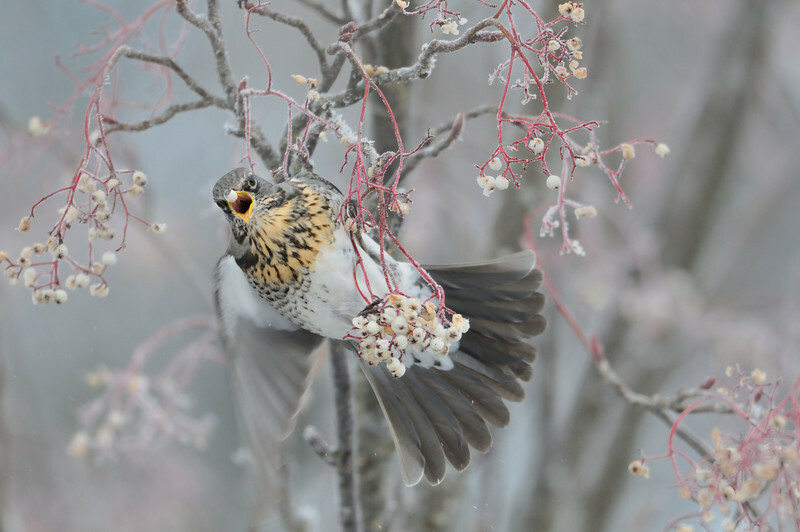 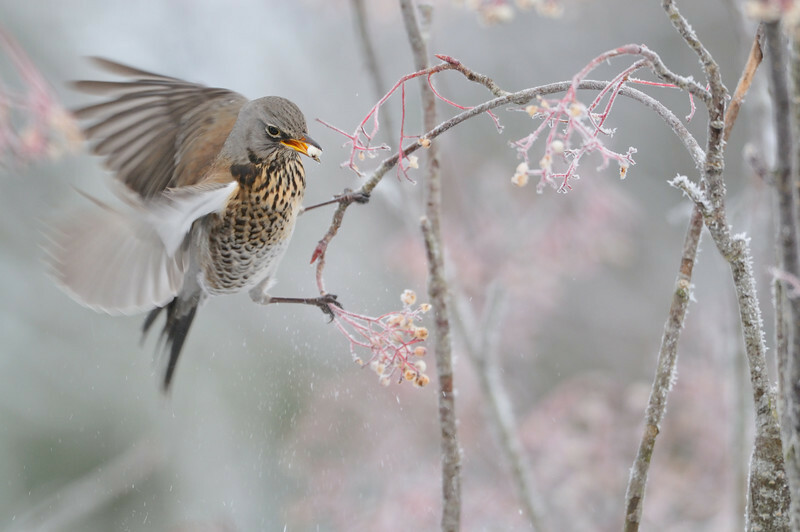 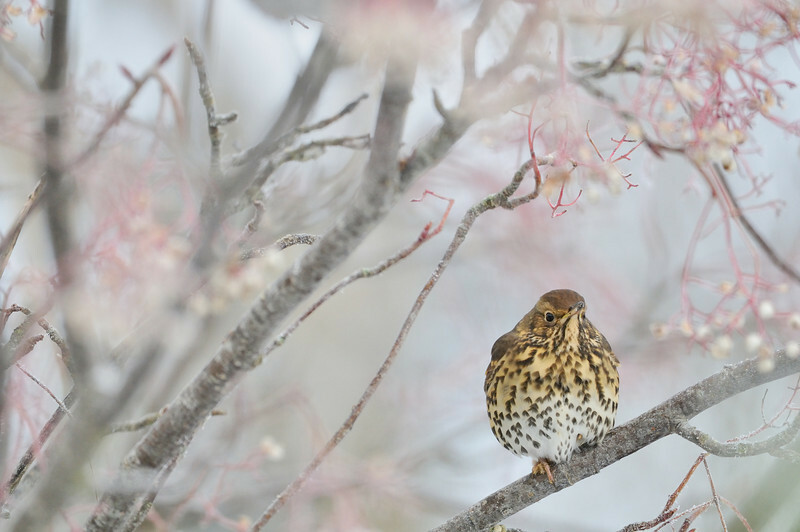 Fieldfare on a Frozen Rowan. 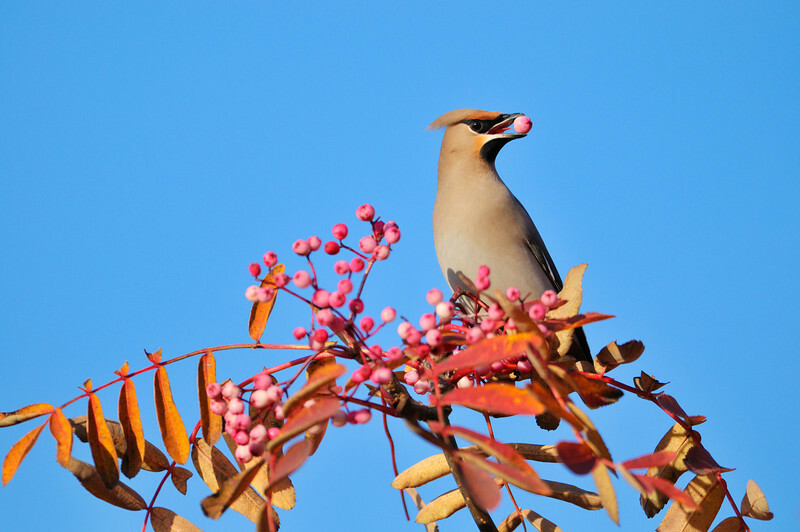 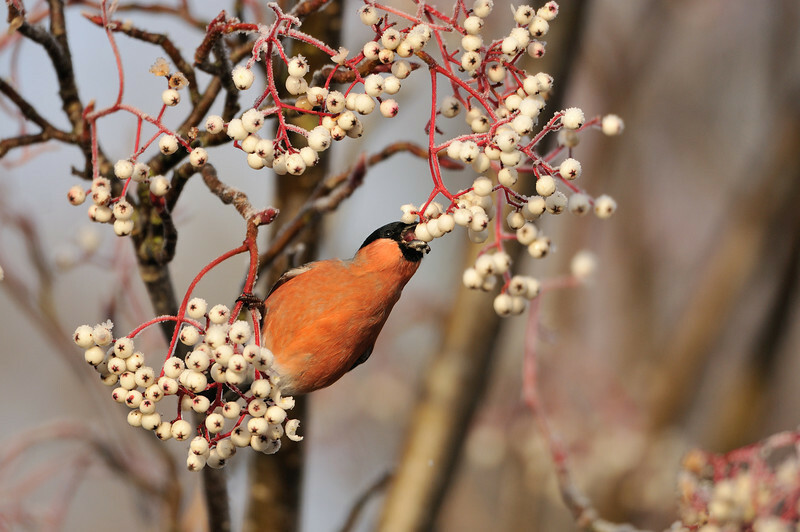 Bullfinch Feeding on Frozen Berries. 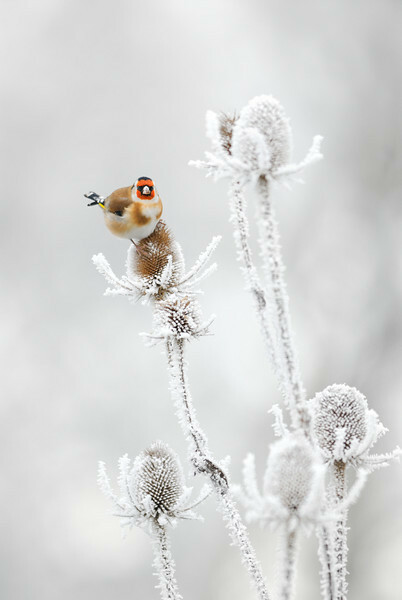 Goldfinch Feeding on Frozen Teasles. 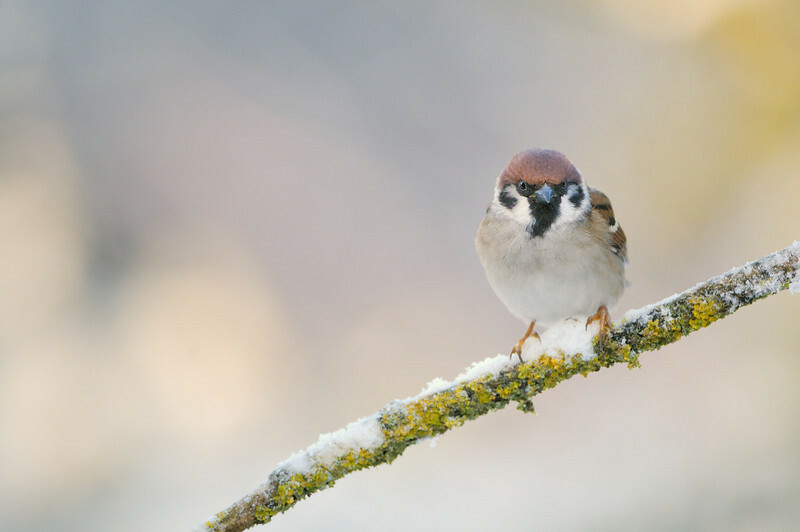 Tree Sparrow in afternoon light. 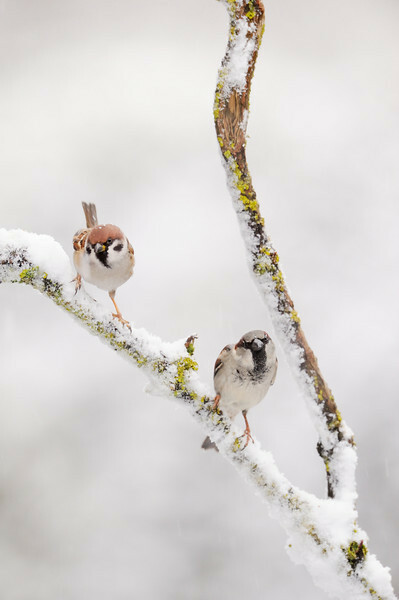 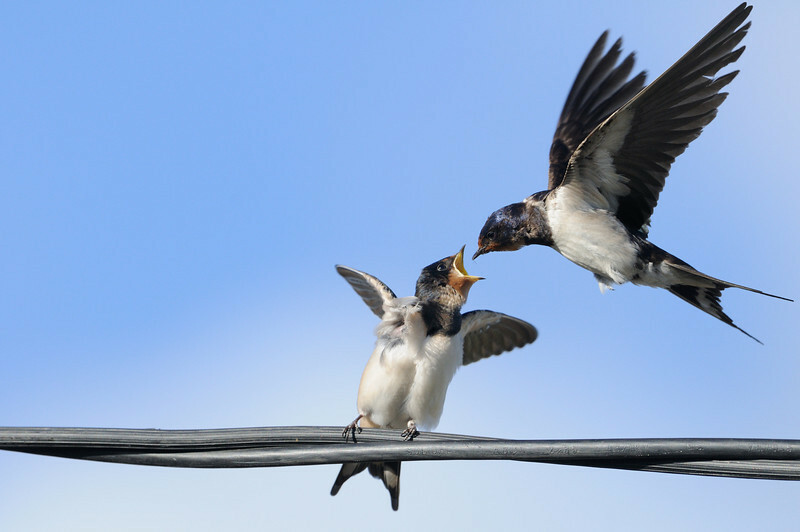 Tree Sparrow and male House Sparrow. 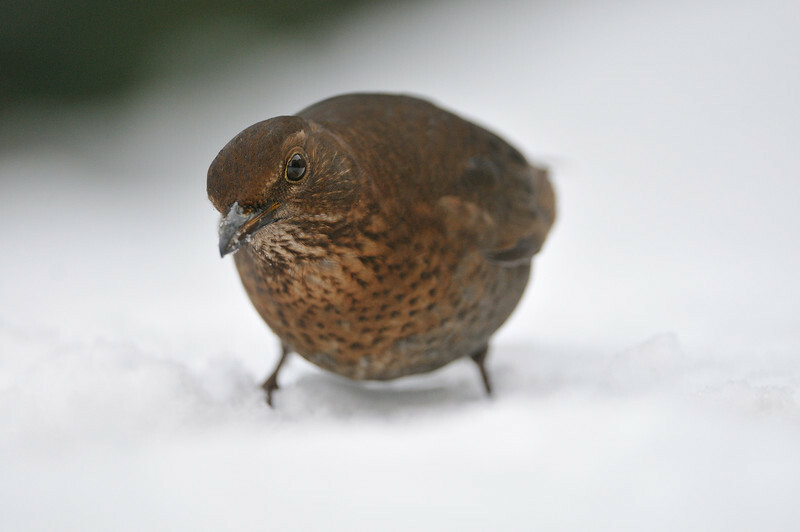 Female blackbird foraging amongst the snow. 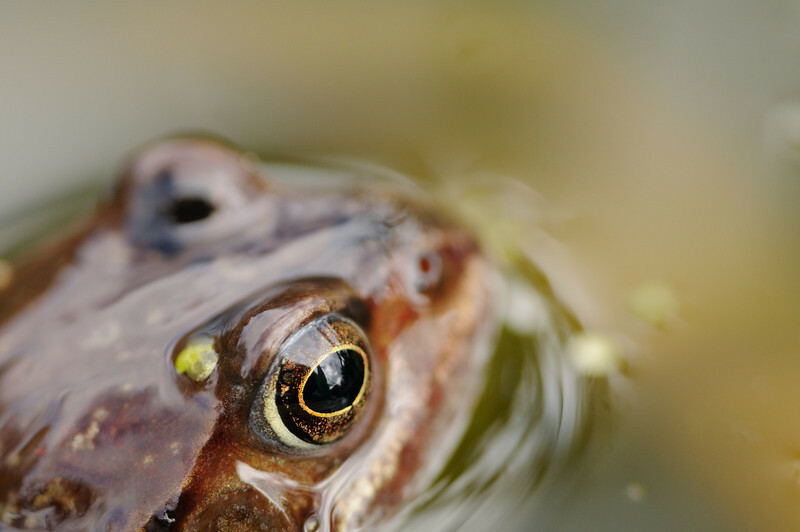 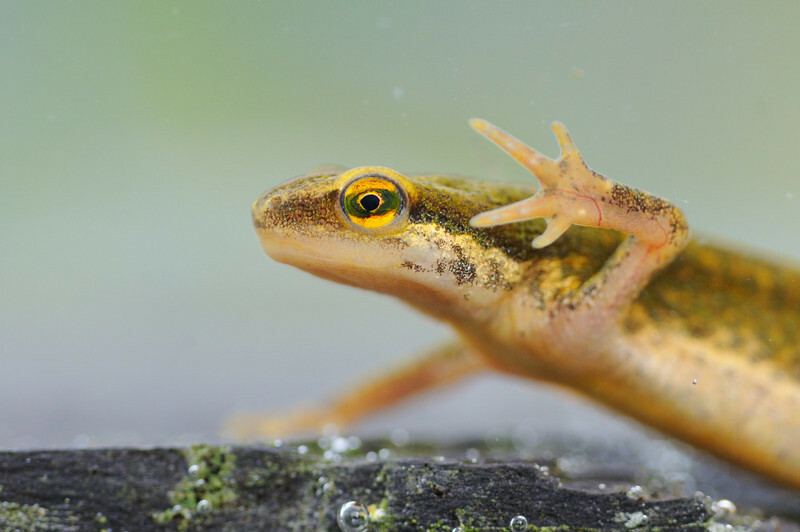 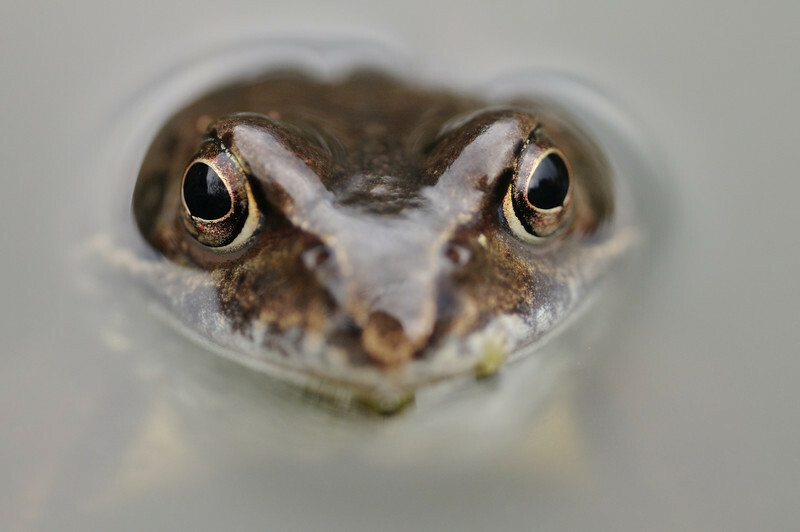 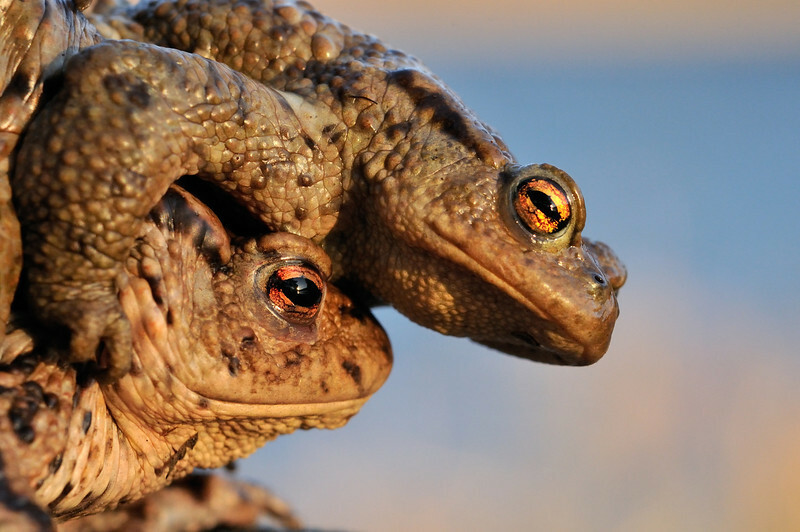 Common Frog in a garden pond.